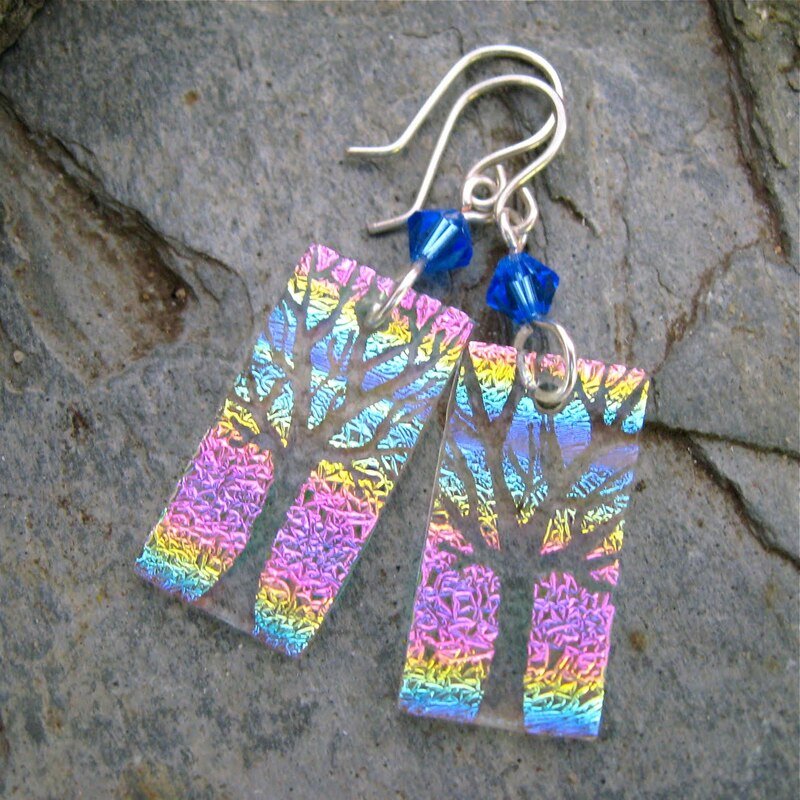 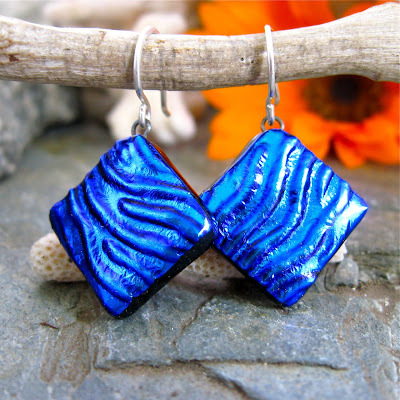 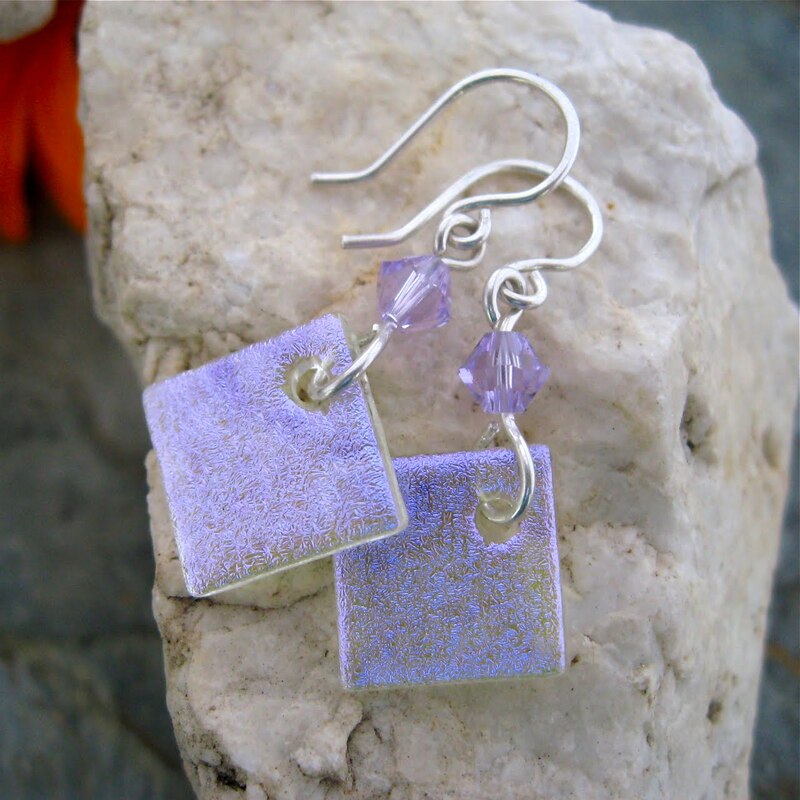 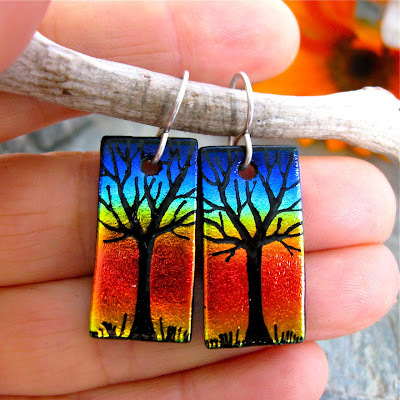 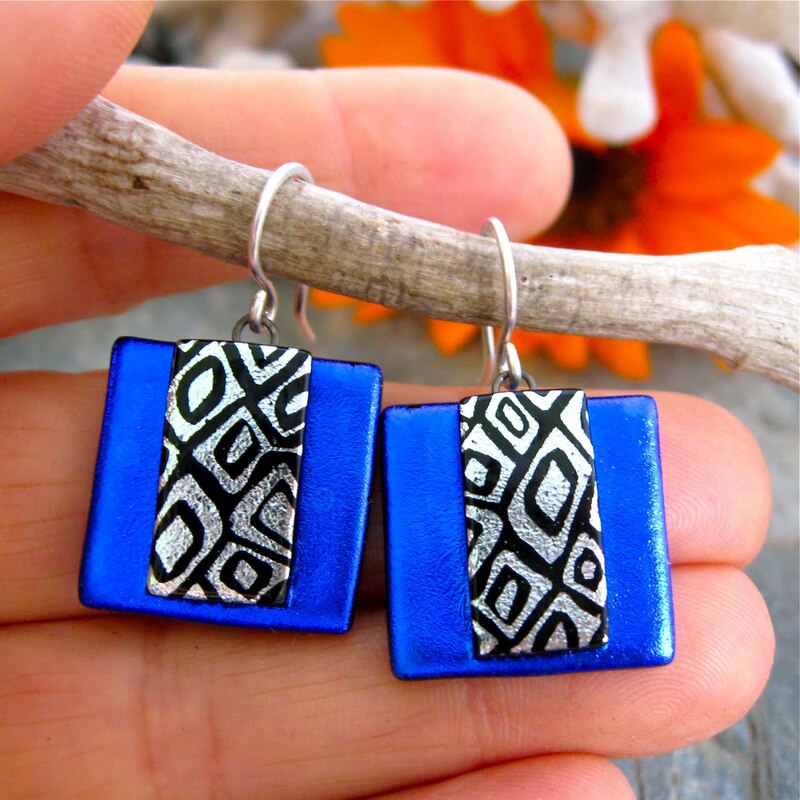 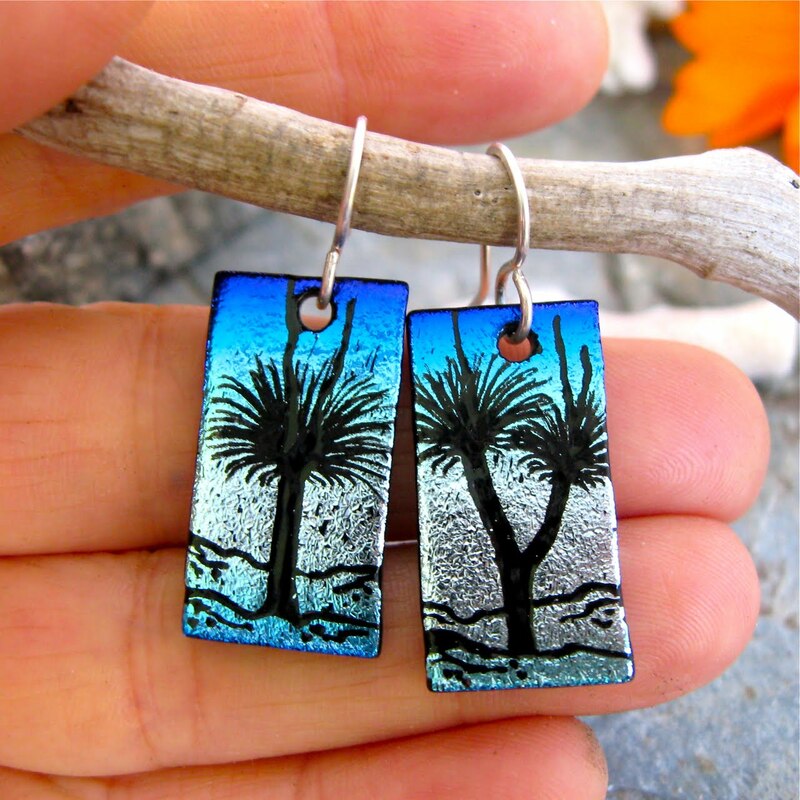 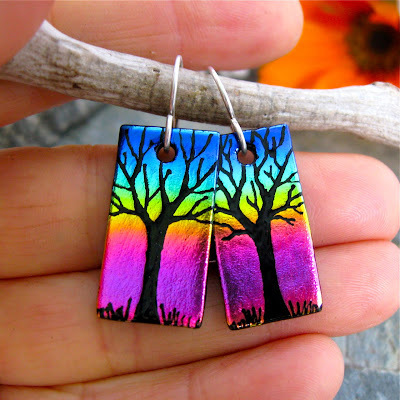 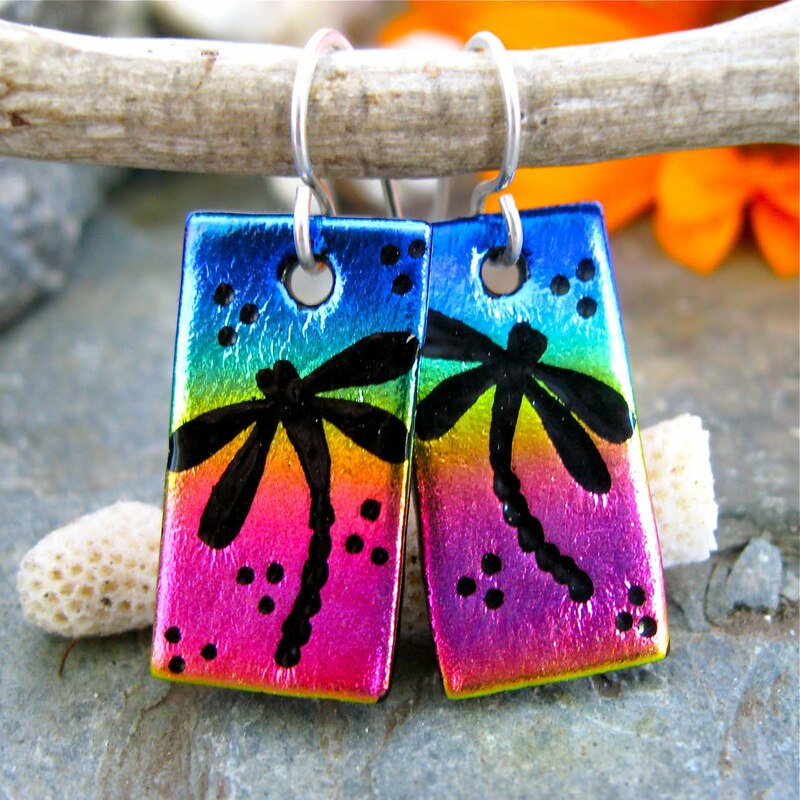 Unique Dichroic Glass Creations: New This Week...Earrings! New this week...some very pretty earrings, fresh out of the kiln. 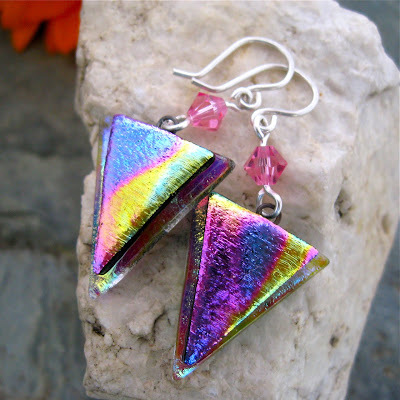 All these, and more are in my etsy shop right now. I make the sterling silver hooks as well. 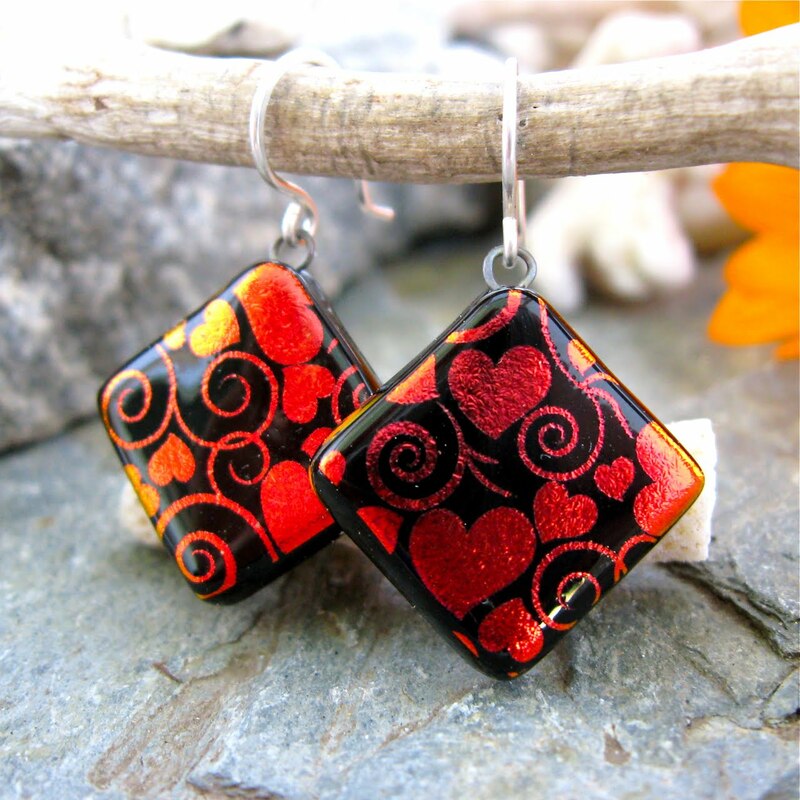 And I love all the filing and bending and hammering. 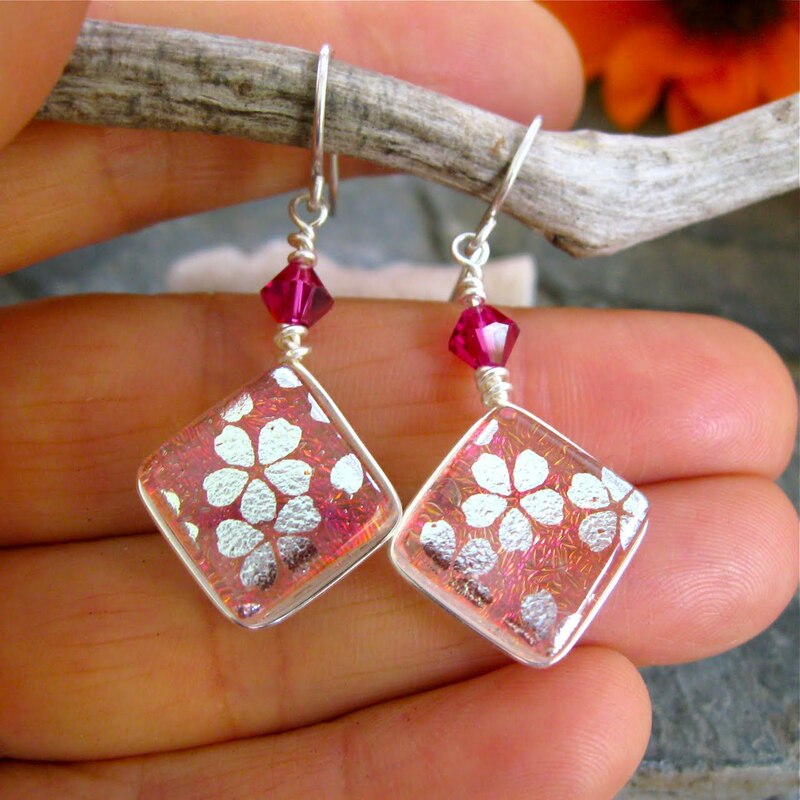 And of course, I LOVE to hand etch the glass!